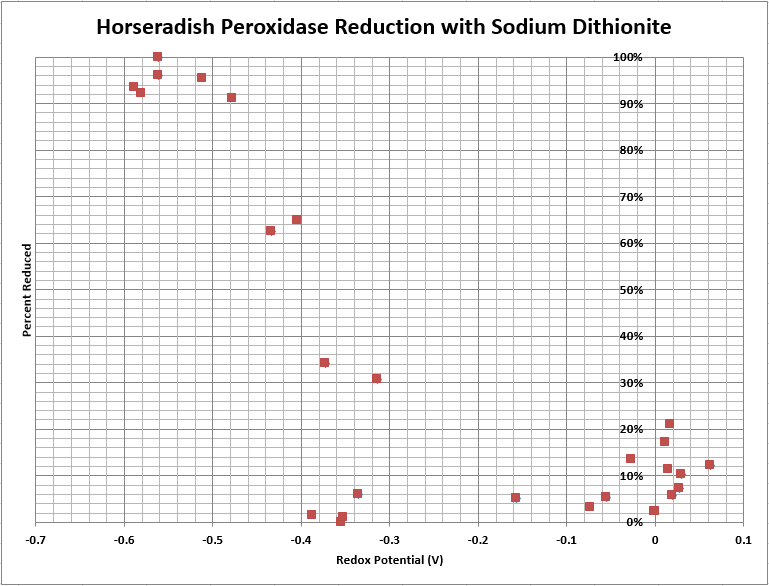 Perform a redox titration on Horseradish Peroxidase to determine the standard potential. The procedure used for the lab comes from Dr. Hartings lab notebook. A total of 5 groups analyzed the cell potential. Group CMJ went first and in the middle of the five runs, the amount of sodium dithionite added to the cell was adjusted. The amounts and concentrations of sodium dithionite added were kept for each group. To determine % oxidized, the absorbance peak of 405.32 nm was used from the class data. 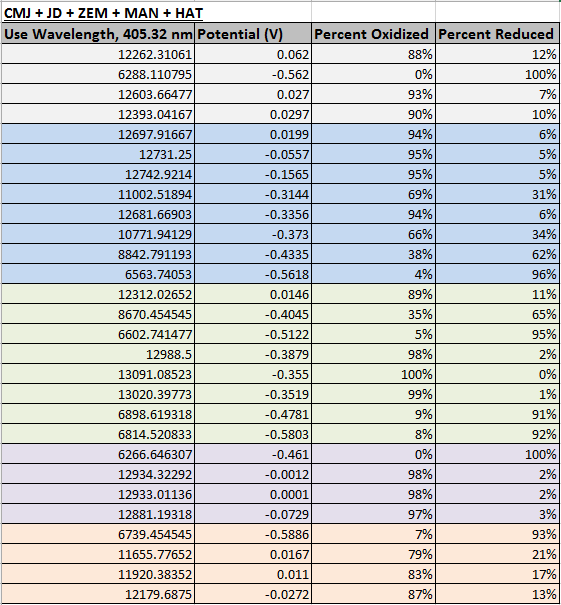 The % Oxidized was subtracted from 100 to calculate the % reduced. This page was last edited on 26 September 2017, at 23:23.